Luciano is available for the 2011 breeding season for outside breedings!!! 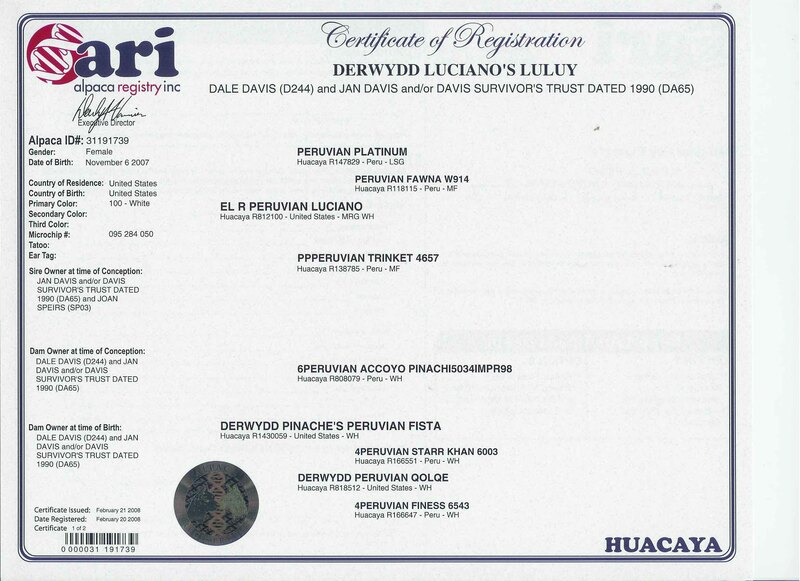 Here is an opportunity to obtain one of Derwydd's reserved foundation dams. Yes, I do mean Stealth Grey!! Lulu is a double white spot covering Grey!!.. Her 3/4 Accoyo dam Fista is white, so we didn't know she had a white spot till we got Lulu!Lulu delivered a really really cute appaloosa male, so we know she has her sires appaloosa gene! Lulu sports an INCREDIBLE staple length from her oh so famous GREY sire El R Peruvian Luciano, a years growth was just shy of 140mm ...5.5"!! With lovely even medium crimp, her 2yr histogram was AFD 22 SD 4.0 CV 17.9!! Fibers < 30, only 2.8%... Luciano(full Alianza) has produced many champion crias for Derwydd, Lulu's dam Fista (3/4 Accoyo) has produced champions.. so Lulu certainly carries the GENETICS to produce champions!! And all those Accoyos in her background!! (Accoyo Pinachi, Accoyo Starr Kahn)... makes Lulu an Alianza-Accoyo cross - famous for fineness and winning alpacas. 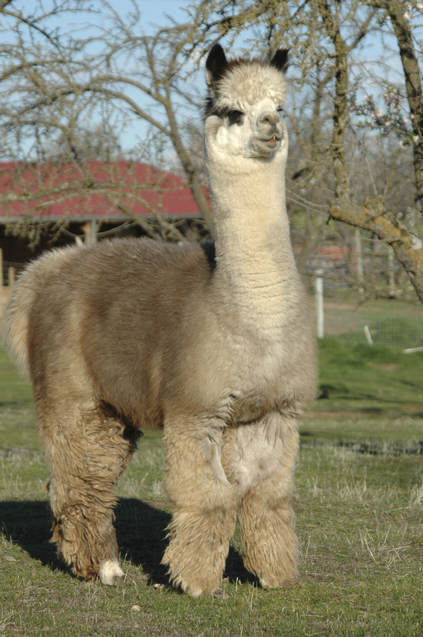 Lulu is a well grown female, plenty of body capacity for birthing crias. 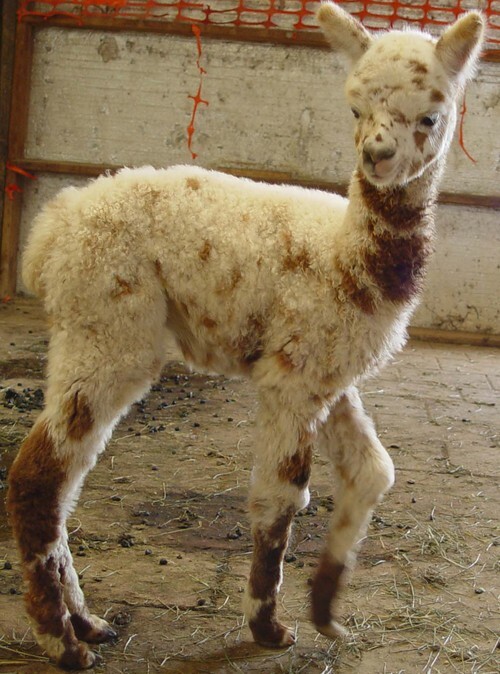 Level top-line, nice bite, lovely topknot, good fiber coverage, excellent bone, well set legs with appropriate angulation - an altogether pleasing alpaca to look at! Lulu had her cria this April.. a cute as can be appy boy.. If you like spots! She can throw em! Lulu had been exposed to Peruvian Francisco, TB.. 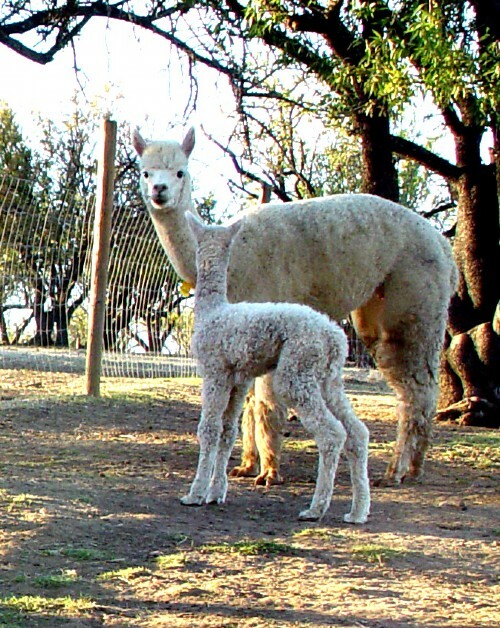 The next cria could be Grey, Appy or Black! If you are breeding for Color!! Then Lulu would be an excellent fit for your breeding program..
Derwydd offers financing to fit your needs. 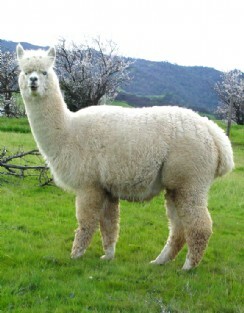 1-2 years; interest free, call us for terms on any alpaca you are interested in!